If you ask the owners of most companies whether they have any intellectual property assets, assuming they even know what you are talking about, they will almost certainly answer “no.” The problem is that the answer should universally be a resounding YES! Every company has intellectual property assets. The name of your company is an asset that can be protected through state and federal trademark registration. Like your own name and good reputation, your business name can and does generate good will, which is potentially the largest asset of any kind that a business will have. Explained in this way many will at least acknowledge that they have some intellectual property assets, and they may even proudly tell you they have taken steps to protect their name, or at least own the domain name associated with their business name. But there is another form of intellectual property that virtually all businesses ignore. It is hard to imagine that any business could ever operate without having protectable trade secrets. The trouble is that most small businesses don’t know what a trade secret is, what trade secrets they have, nor do they know what could be protected as a trade secret. Let’s start with understanding what a trade secret is. A trade secret is defined as any valuable business information that is not generally known and is subject to reasonable efforts to preserve confidentiality. Generally speaking, a trade secret will be protected from exploitation by those who either obtain access through improper means, those who obtain the information from one who they know or should have known gained access through improper means, or those who breach a promise to keep the information confidential. While virtually every business has at least some trade secrets, they are quite fragile because they protect information and resources that are secret, which necessarily means that protection is lost if and when the secret becomes publicly known. For that reason, when other forms of intellectual property protection are available, such as copyright or patent protection, one should carefully consider the wisdom of relying only on trade secret protection. Before proceeding let’s return to the statement above that says that virtually all businesses have at least some trade secrets. It is critical to understand that a trade secret protects any business related information that is valuable because it is secret. Every business has at least some information that could qualify. One key category of information that can be and should be preserved as trade secret information is your customer list. Would it be valuable to an upstart competitor to obtain your customer list so they could market directly to those who they know already are interested in the products or services they are selling? Of course! For example, let’s say you own a home cleaning business. For years you have advertised in your community and over time have developed a loyal customer base. If a competitor were to enter your geographical area how much could they save by not having to advertise in a broad way, but instead focus only on your customers who have already shown a willingness to hire someone to clean their home? That customer list for a competitor would be worth a lot, and if they were to siphon off customers from you it would cost you a lot. Therefore, that customer list needs to be protected as a trade secret. If you must disclose information about a trade secret to a third party, perhaps information relating to an invention, particularly prior to having a patent application pending, you should absolutely use a Confidentiality Agreement. We have several free sample agreements that you can use and modify as necessary. Similarly, you should make sure your employees sign agreements promising to keep your trade secret business information confidential and not to use it for their own benefit even after they have stopped working for you. This is called a non-compete agreement. State law varies with respect to what you can put into a non-compete agreement, so you should consult an employment lawyer in your state to help you draft the proper language. It will cost you a little up front to do it right, but save you a lot later because if you are making money in business you can be certain others will try and enter your market and frequently those others are former employees. Attorneys fees are also available under the Uniform Trade Secret Act if the misappropriate is willful and malicious, or if a motion to terminate an injunction is made in bad faith. Some statutes also provide for enhanced damages and attorneys fees in certain circumstances. That seems too broad and includes virtually any confidential information, for example, the salaries of its workers. When I think of trade secrets, I think in term of technology: something the owner knows that others do not know that enables him to produce goods and services better or more cheaply. Obviously, the issue may arise someday whether “business methods” are protectable under trade secret law. I can see good arguments on both sides of that equation. Trade secrets may in fact be broader than what Gene indicates, and there is NO nexus required to any sense of “technology” – no matter how that word is defined. Your someday “business methods” has LONG been present. Even more to the point, the trade secret in a business sense need not even rise to the level of being a process at all! I take it then that your hands on experience with trade secrets is a little “light” (not that such is bad, or that I am attempting to put you down – it’s just that you appear rather naive about what trade secrets can encompass). 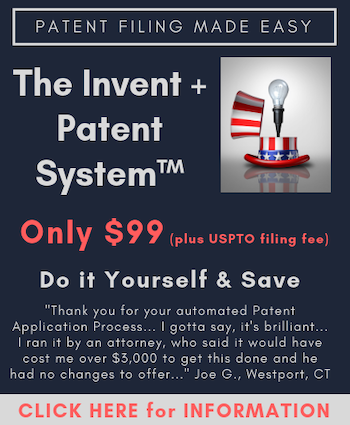 I am putting together a presentation to license my invention, should I have the personnel sign a confidentiality and a trade secret agreement before I begin the presentation?